QUALIFYING TO ATTEND IS AS EASY AS 1,2,3! 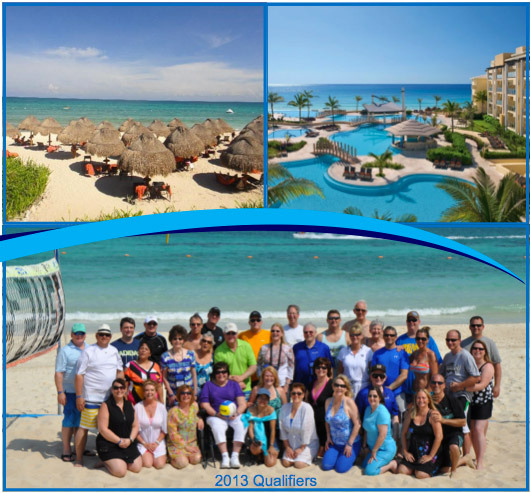 JUUVA VACATION CLUB INCENTIVE TRIP at the NOW JADE!! *At the end of each commission week Juuva’s Back Office sorts your Legs and identifies your Reference Leg (the Leg which generates the most volume including carryover) and marks the other Leg(s) as Pay Leg(s). You must generate your MPV (Maintenance PV) every 4 weeks during the promotion period. You must be a Summit Member during the promotion period. This promotion covers all that is included in the resort’s “all-inclusive package” for 5 days and 4 nights only. Transportation between the Cancun airport and the Now Jade Resort & Spa is also included. Any excursion or incidentals that are not included in the “all-inclusive” resort package are not covered by this promotion. Juuva reserves the right to modify this promotion at any time. For complete details please go to www.juuva.com. This promotion is extended to Distributors who are listed on the Juuva application and their spouse. The qualifying Distributor must attend or the qualification is null and void - no substitutions allowed. By law, qualifiers will receive a 1099 for their portion of Juuva’s cost for the promotion. **Airfare will only be paid up to the amount of 2 airline tickets or $1,300.00, whichever is less, to those who meet the qualifications. Airfare stipends require pre-approval prior to ticket purchase and submission of actual airfare receipts as proof of purchase. No cash equivalency is being offered for any portion of this promotion. This promotion is available only to Juuva Distributors registered in the USA.